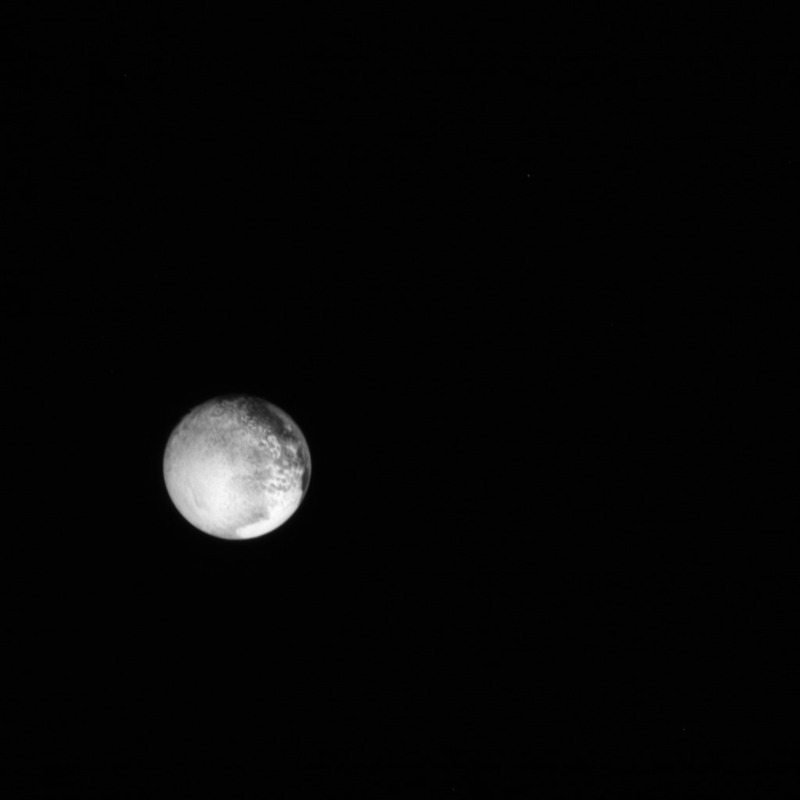 Congratulations, NASA; Pluto is beautiful. I can’t wait for the upcoming images, and I thank you for further fueling the imagination if an adult whose boyhood was spent contemplating the exploration of space and possible alien life forms. I never became an astronaut as I once thought I might, but these images are treasures to my heart. I love that image (thanks to NASA/Johns Hopkins University Applied Physics Laboratory/Southwest Research Institute). Alone in the void, a wild, eccentric beacon to those who may pass by. This entry was posted in Astronomy/Astrology and tagged Pluto. Bookmark the permalink.